Moodle provides a wide range of activity types ranging from the dedicated assessment tools such as Assignments and Quizzes, to grading students’ participation in collaborative tools such as forums and glossaries. Grading can be using point values or the PG Scale, and Moodle’s flexible Gradebook can distribute marks to students securely including grades from assessed activities completed outwith the online environment. Turnitin Assignments and Moodle Assignments are the two primary tools for eSubmission of coursework, and both have sophisticated grading tools to deliver rich feedback to students. Since Moodle is integrated with the online video server and Mahara ePortfolios, there are a wide variety of digital artefacts that can be submitted and graded. 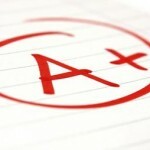 In this section the main assessment tools are detailed with some guidance on how to implement your grading strategy.